In 1954 Panufnik left Poland as a protest against political control over creative artists, resulting in the total supression of his name and music. He settled in England and subsequently gained British nationality. From 1957-59 he was musical director of the City of Birmingham Symphony Orchestra, his last official position before deciding to concentrate on composing. In 1977, after a 23-year long silence, Panufnik’s music was once again heard in Poland, and in 1990 the composer made a momentous return to his native country to conduct a programme of his works to open the Warsaw Autumn Festival. Panufnik’s autobiography, Composing Myself, was published in 1987 by Methuen (UK). The composer received a British knighthood in January 1991, and following his death nine months later was awarded a Polish knighthood by President Lech Walesa. Panufnik’s oeuvre is dominated by a series of large-scale orchestral works, including commissioned scores for the Boston, Chicago and London Symphony Orchestras. As well as the ten symphonies, his output includes concertos for piano, violin, bassoon and cello, three string quartets, vocal and choral music, works for young people, and transcriptions of old Polish music. 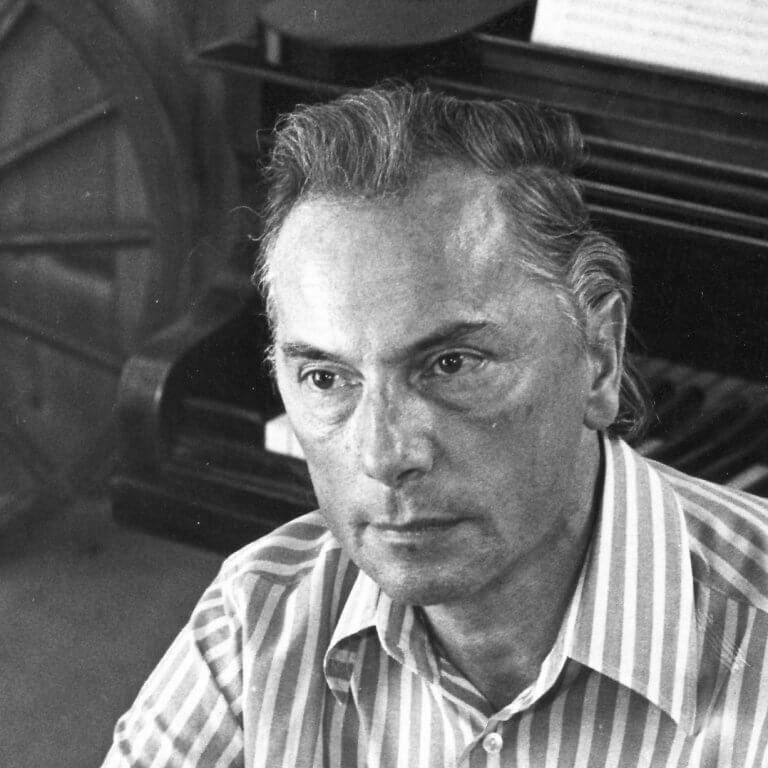 Panufnik’s compositions have been performed by many leading musical interpreters, including Stokowski, Horenstein, Solti, Ozawa, Previn, Menuhin and Rostropovich.